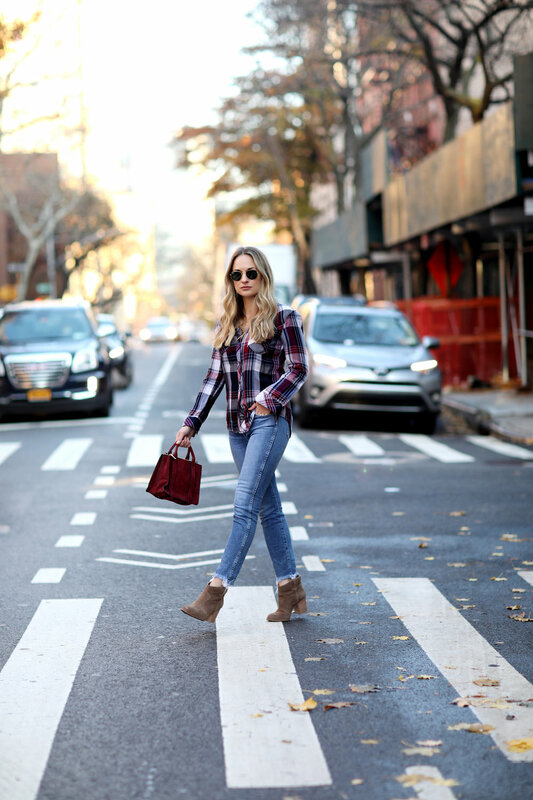 I love a great flannel top for the winter months. One of my favorite brands for the perfect plaid flannel is Rails LA. These tops are super soft and wearable. This is one of the most comfortable shirts that I own which makes it perfect for a casual weekend look. Today I paired it with my favorite frayed hem denim from 3x1. These jeans are very high waisted and are a great break from classic skinny jeans. I layered on my new jewelry from the Missoma x Lucy Williams collection. Lucy Williams is one of my favorite bloggers to follow on Instagram and I love her jewelry! I have been wearing it on repeat since I bought it. To shop this look, click the links above and below!